Here is a ready made set up, all you need are your personal items and some food! Remote property with a 1 bedroom cabin, greenhouse (outside garden beds too), shop, and woodsheds. Cabin is set up for year round living - heated by a woodstove, has a propane cook stove, propane freezer, a composting toilet, and is on a water catchment system. 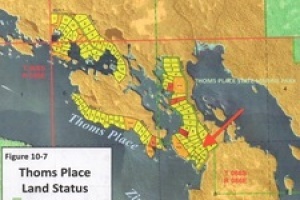 3.9 acres located in Thoms Place at the south end of Wrangell Island (approximately 20 miles from downtown) accessible by boat or floatplane. 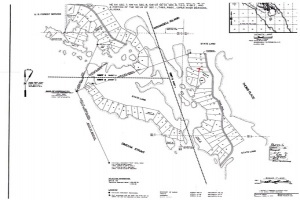 4.38 acres of remote property located approximately 20 miles south from Wrangell in Thoms place. Surround yourself with all the beauty S.E. Alaska has to offer. Remote waterfront property located a short boat ride from the town of Wrangell. If you don't mind a walk thru the woods you may be able to access this lot from the end of what is known locally as the "Spur Road". This lot has a beautiful view of the mouth of the Stikine River and a rocky point where seals and seal lions like to sunbath. 3.9 Acres of Alaska can be yours! Great spot as a base camp for fishing, outdoor recreation or that dream cabin in Alaska.